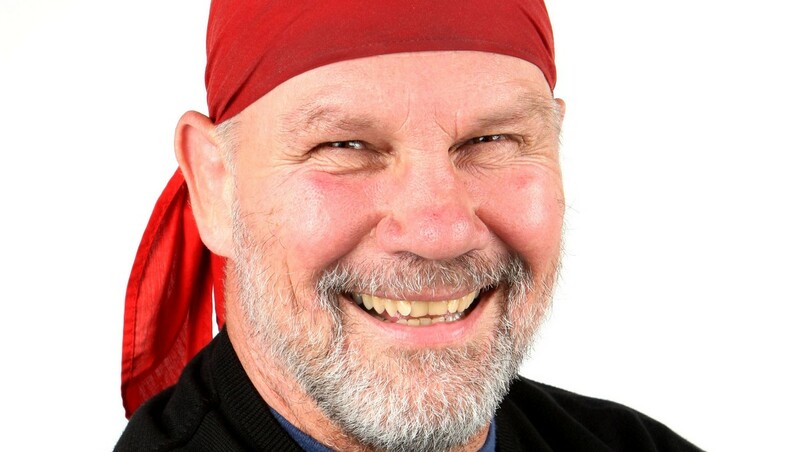 With his imposing height and signature bright red bandana, it’s hard to miss Peter FitzSimons. The celebrated author has been confirmed as one of the keynote speakers at the Australian Men’s Shed Australia (AMSA) National Conference this year, and was good enough to offer a little time in the schedule to have a quick chat about his involvement. It’s worth reviewing just a little of what Peter does with his time. He is a well-respected columnist for The Sydney Morning Herald and the Sun-Herald, and is a regular television presenter on Fox Sports. Of course, this journalistic work crossed over the tail end of a successful rugby union career, including representing the Wallabies in seven tests. He has hosted radio shows, and is a passionate supporter of many causes. 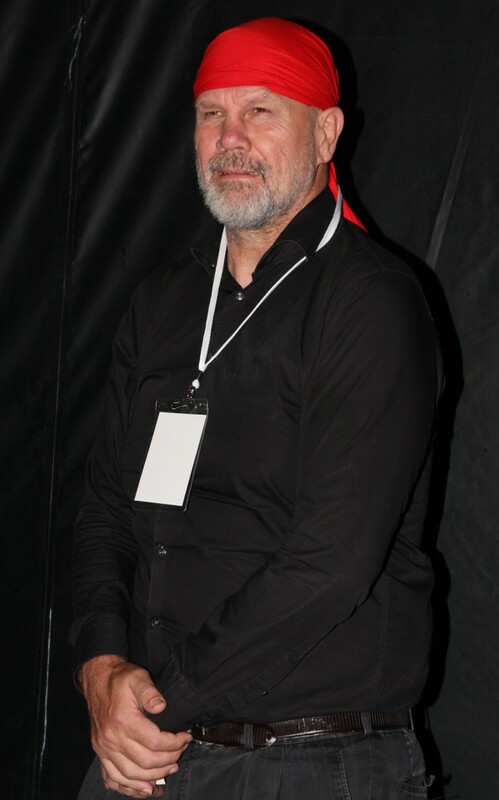 The imposing Peter FitzSimons and his signature red bandanna. In recent years, his heart has been with writing books. He is the biographer of many famous names, although it is his books on Kokoda and the Rats of Tobruk that ring the loudest bell for some people. Peter’s latest book will be ready to launch at about the same time the AMSA National Conference will be held. An in-depth study of the life and times of Ned Kelly, it’s sure to be another great seller and a prime example of dedicated research and investigative journalism. When I went to visit Peter, he was very much in the latter stages of the book. All words were effectively written; however he confessed some dread at the likely need to strip back some 30,000 words from the manuscript. We met at his beautiful classic house in Sydney and sat in the bay window with a cup of tea – just hoping to catch a little of the winter sun through the window. That rainbow comes from many different elements in life. Aside from the many books and regular columnist commitments, he is actively involved in numerous political and personal causes – speaking or serving on boards for the Republican movement and AusFlag to name just two. As we talk, Peter supports every comment he makes with a factual example, many of them around Ned Kelly. It gets to the point that he laughs and almost apologises. Always a very busy man. As usual for Peter, this book has been an incredibly intensive period of his life. 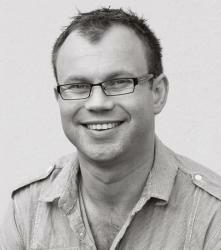 He has worked with a dedicated team and travelled the country for first-hand information to get the real story across. 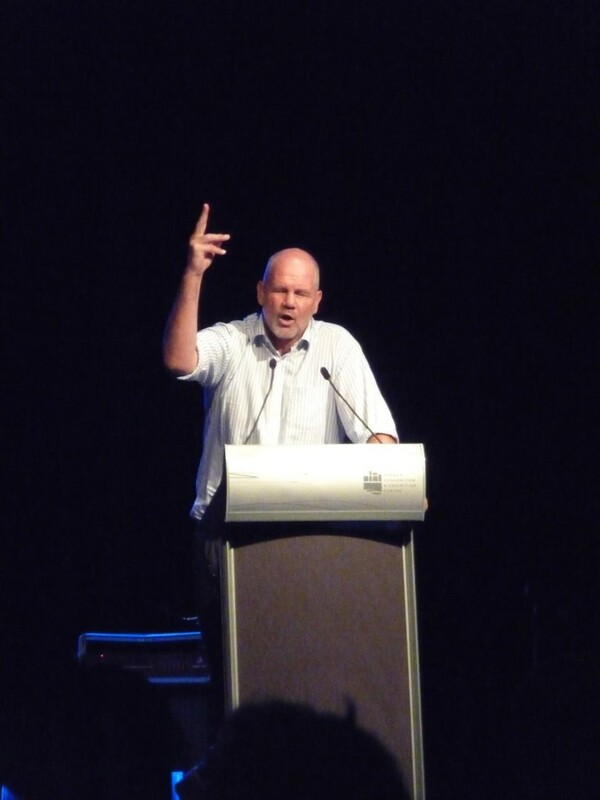 This passionate approach and delivery is the trademark of Peter FitzSimons, and so you could be excused for thinking that his life would be hermit-like through this time. If such a busy man working through an all-encompassing period can keep up the light and shade, then what excuse do the rest of us have?